In a remote Zambian village, a nine-year-old girl (Margaret Mulubwa) is accused of being a witch and given a stark choice: to accept her supernatural branding and live a tethered life as a sorceress, or to cut her ties with local tradition and be transformed into a goat that may be killed and eaten for supper. Thus begins this bewilderingly strange yet terrifically sure-footed feature debut from writer-director Rungano Nyoni. 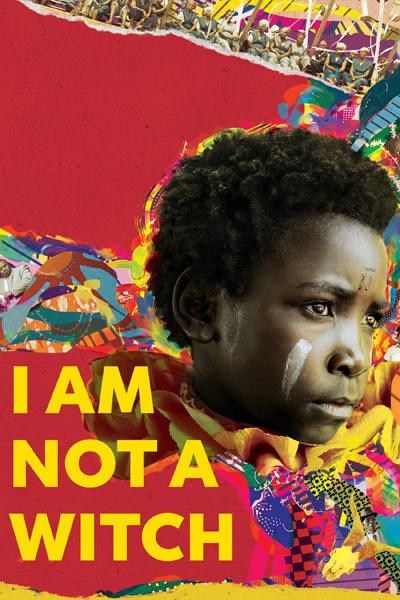 Born in Zambia and part-raised in Wales, Nyoni first made international waves with such award-winning shorts as Mwansa the Great (2011) and Listen (2014). Now, this daringly satirical parable of magic and misogyny, superstition and social strictures confirms her promise as a film-maker of fiercely independent vision, with a bright future ahead. At the centre of it all is a group of nonprofessional players, led by young Margaret Mulubwa, who was discovered during a location recce in Luapula Province. And what a discovery she is! With a face that can transform from innocence to defiance in an instant, Mulubwa is a mesmerising screen presence, her stoical countenance broken occasionally by a radiant smile that lights up the landscape. As for Nyoni, her ability to blend cruel humour, pointed satire and empathetic anger to produce something touched by tragic transcendence is astonishing. In interviews, she has described watching Michael Haneke movies as “my film school” (perhaps those white ribbons are a homage?). Yet she has also talked enthusiastically about her love of the witchy 1996 teen fantasy The Craft. With such wide-ranging influences, who knows what this remarkable film-maker will do next? Having been spellbound by her audacious first feature, I can’t wait to find out.